The Ministry of Foreign Affairs (MFA) is responsible for Norway’s development policy. The Norwegian Agency for Development Cooperation (Norad) is a directorate under the ministry assisting in grant making, policy advice, knowledge production, and evaluation. 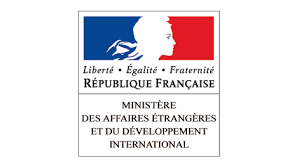 Support to freedom of expression and media activities comes mainly through the Ministry of Foreign Affairs, with additional grants from Norad to civil society actors working against poverty. Although the two institutional mandates and procedures vary to some extent, it makes most sense in this thematic area to view MFA and Norad as one governmental institution. Accordingly, in the current profile Norad and MFA are referred to as the Norwegian Government (NG). In 2015, the total Norwegian development budget was 34.5 billion NOKs (more than $4.2 billion at 2015 exchange rates) or 1.05 percent of the Norwegian GDP. This placed Norway close to the top in development aid, surpassed only by Sweden, which spent 1.4 percent of GDP. NG grants funding to organizations within civil society, research, higher education, and private sector development that work with partners in poor countries. The development policy is designed to promote economic development, democratization, implementation of human rights, good governance, and measures that can lift people out of poverty for good. Priority is given to education, humanitarian assistance, health and vaccination, private sector development, climate change adaptation and mitigation, and human rights. Norway has 12 focus countries or areas receiving special support. Six are in the category of fragile states with emphasis on political consolidation, peace building and economic development: Afghanistan, Haiti, Mali, Palestine, Somalia, and South Sudan. Another six are focused on good governance, inclusive and sustainable growth, and resource and income distribution: Ethiopia, Malawi, Mozambique, Myanmar/Burma, Nepal, and Tanzania. In its latest figures, NGs media development spending in 2013 totaled about 160 million NOKs, which is equivalent to about $20 million. NG says that support to “specialist organizations” such as International Media Support (IMS), Panos Southern Africa, IFEX, Pen International is easy to track. However, a portion of its support goes to organizations, such as those connected with the United Nations, which may have large projects under which media comprises a small part and are, therefore, harder to track by region. These may fall into the “other” category. Support is based on grant applications, in which the applicant does a country assessment, a risk analysis, and program design. Overall NG support to media development has remained relatively unchanged over the past five years. Typically, NG partners with its grantees on agreed-upon result frameworks, the indicators used, and means of verification. NG reports that there is a growing emphasis on monitoring and evaluations with a focus on results. NG has given indirect support, mainly through IMS, to media outlets in more than 30 conflict zones to help build local integrity, quality and professionalism, strengthen local journalist trade unions, support media legislation, and protect the rights and security of journalists. As examples of these projects, Somali radio station Ergo, in collaboration with seven local stations, works to broadcast balanced and precise humanitarian information to the Somali population. NG supports the Norwegian Journalist Union and the International Federation of Journalists (IFJ) to push for security and gender equality training for journalists and media outlets in the Middle East and North Africa region. Another NG project is the Ethical Journalism Network, advocating journalism ethics and countering hate speech. Support has also gone to ICORN (the International Cities of Refuge Network) to provide safe havens to prosecuted journalists, authors, and musicians. Norway is part of the Online Coalition, which collaborates with civil society partners, academic institutions, and industry representatives on topics such as digital security and privacy issues for the protection of sources and access to information. “The level, scale and location of interventions depend on the national context and nature of the challenges,” the NG staff said.